A couple of Dallas/Fort Worth sailors, Doug and James, headed south to Seabrook Sailing Club for a Laser circuit stop to show their support of their rebuilding efforts. 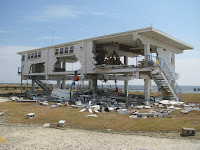 The first picture shows the damage from Hurricane Ike and the other two show the rebuilding efforts as of Sunday. 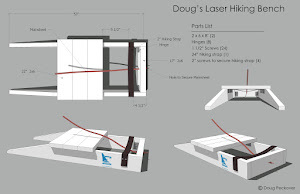 There was a good showing of Lasers with several young rock stars arriving early and using the event to train for the upcoming Gulf Coast and North American Championships being held the last two weeks of June. Last year Mark Eldred traveled to WRBC to sail in the Wrangle and won it. This year Doug reciprocated by traveling to Houston to sail at Seabrook. There was some very good competition and Doug and James came back with a 3rd and 5th. 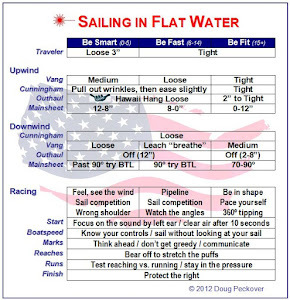 James got to enjoy what it's like to travel with Doug and pick his brain playing 101 sailing questions. Doug, on the other hand, got schooled by the young guns at the regatta. The cross pollination continues. 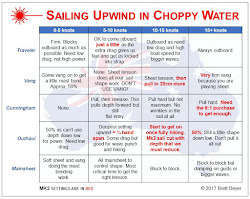 The next generation of Laser sailors are wicked quick and will certainly up the game. Note that Seabrook's new club will have an elevator so the old Masters can get up to the clubhouse after sailing.